If you’ve ever had a mixed drink, you’ve likely drank a Diageo-owned spirit: Everything from Smirnoff to Ketel One, Johnnie Walker to Tanqueray, and Baileys to Captain Morgan are owned by the London-based drinks giant. The company even owns Guinness. But now, that seemingly never-ending laundry list of products is about to get 19 brands shorter: Diageo has announced its selling some of its lesser-performing lines to the American drinks company Sazerac. Though Diageo says that the move was made to “have even greater focus on the faster-growing premium and above brands” in its American drinks portfolio, you’ve almost certainly heard of a number of the products that are being sold. The complete list is Seagram’s VO, Seagram’s 83, Seagram’s Five Star, Myers’s, Parrot Bay, Romana Sambuca, Popov, Yukon Jack, Goldschlager, Stirrings, The Club, Scoresby, Black Haus, Peligroso, Relska, Grind, Piehole, Booth’s and John Begg. Meanwhile, though Diageo apparently doesn’t think these brands are worth its time anymore, they are definitely worth something: $550 million to be exact. 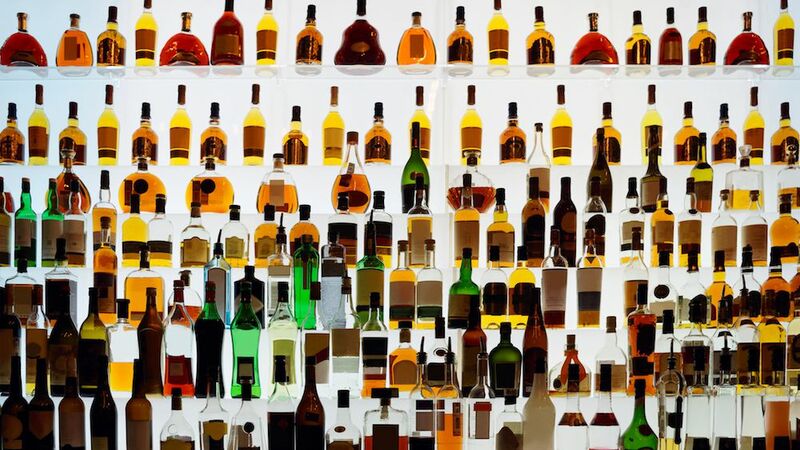 That’s how much Sazerac is reportedly paying to take these unwanted items off Diageo’s hands. Diageo said they would be giving all that money back to shareholders as part of a share repurchase program. As sales numbers show that drinkers are currently trading up for more premium products, Diageo has decided to follow that trend by pushing its pricier items. “The value space has been in secular decline for a number of years, so we see the bigger growth opportunity and focus for our business in premium and above,” CFO Kathryn Mikells said, according to Reuters. An analyst told the news site that the brands Diageo is selling to Sazerac saw sales decline by as much as 10 percent a year. Wait, are you seriously telling me that people aren’t still into Goldschlager? !